Globally, little attention is paid to gaseous emissions from wastewater treatment processes. This contrasts greatly with the regulatory monitoring that is applied to the quality of water emissions from such facilities. 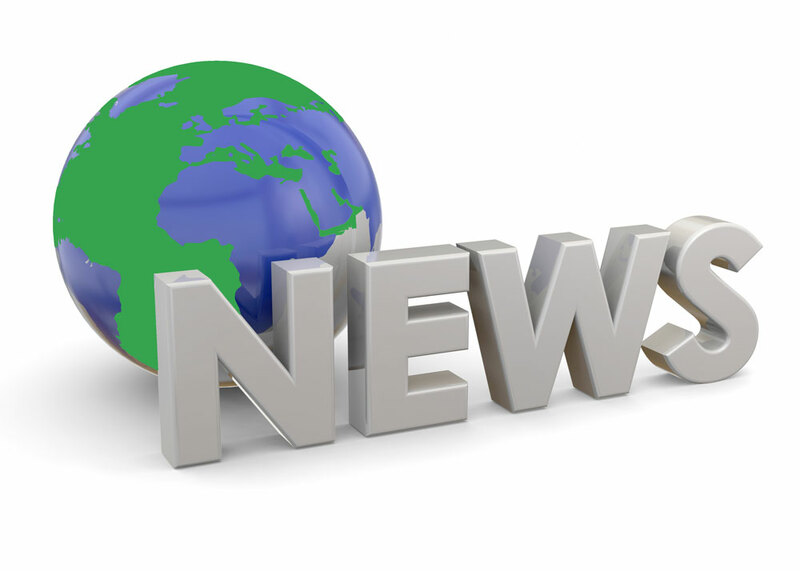 However, in Helsinki, Finland, a large municipal wastewater treatment facility continuously monitors its greenhouse gas emissions to help in the City’s efforts to combat climate change and also to help improve the wastewater treatment process. The Viikinmäki wastewater treatment plant was built in 1994, almost entirely underground, as the average winter temperature in Helsinki is -4°C, with extremes below -20°C to -30°C. Underground construction is common practice in Nordic countries, providing other advantages, such as land availability above the plant and the provision of stable conditions for process control and odour management. 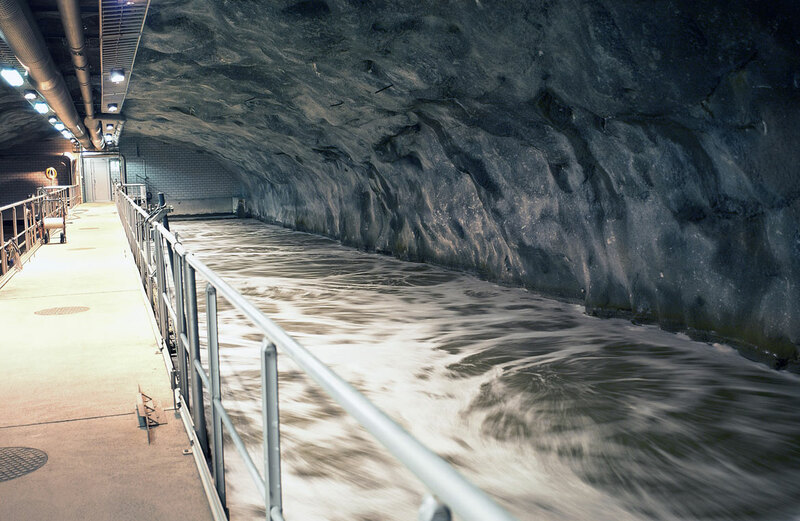 The Viikinmäki wastewater treatment plant was built in 1994, almost entirely underground. The Viikinmäki plant is the largest wastewater treatment facility in Finland, handling approximately 270,000 m³ of wastewater per day. 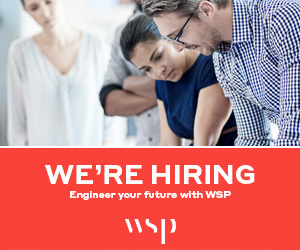 It is treated in compliance with the Finnish Wastewater Discharge Permit, which is stricter than the EU Water Framework Directive for parameters such as nitrogen removal, phosphate content, BOD, COD and suspended solids. 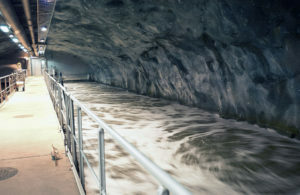 Treated wastewater is conveyed 8 km out to sea and to a depth of over 20 m. The 16 km long discharge pipe was built in the 1980s and was designed to ensure that discharged wastewater did not accumulate in the shallow and scattered shore and nature reserves along the coastline of Helsinki. 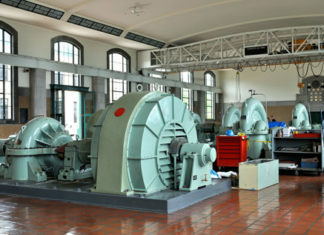 The activated sludge treatment process includes three phases: mechanical, biological and chemical treatment. Traditional nitrogen removal has been enhanced with a biological filter that utilizes denitrification bacteria. Biogas is generated in the sludge digestion process and the energy produced from it means the plant is self-sufficient for heating and about 70% self-sufficient for electricity. However, the plant aims to be fully energy self-sufficient in the near future, and around 60,000 tonnes of dried waste sludge is sold each year for landscaping purposes. As a result of the size of the plant, according to the European Pollutant Release and Transfer Register (E-PRTR) reporting, and the commitment of the Helsinki Region Environmental Services Authority (HSY) to the protection of the environment, it was necessary to monitor or model gaseous emissions. At the beginning of the E-PRTR reporting requirements (2007), HSY modelled annual gaseous emissions based on grab samples. This was relatively simple to implement because the plant is enclosed underground and a gas exhaust system was already in place. The Gasmet CEMS measures all infrared frequencies simultaneously to produce a spectrum from which qualitative and quantitative data are produced. 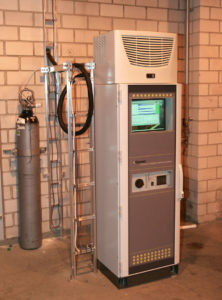 The Gasmet CEMS employs an FTIR spectrometer to obtain infrared spectra from the waste gas stream, by first collecting an “interferogram” of the sample signal with an interferometer. This measures all infrared frequencies simultaneously to produce a spectrum from which qualitative and quantitative data are produced. For example, the CEMS at Viikinmäki continuously displays emissions data for CH4, N2O, CO2, NO, NO2, and NH3. Over a number of years, Gasmet has established a library of FTIR reference spectra that now extends to simultaneous quantification of 50 gases or identification of unknowns from a collection of 5000+ gases. 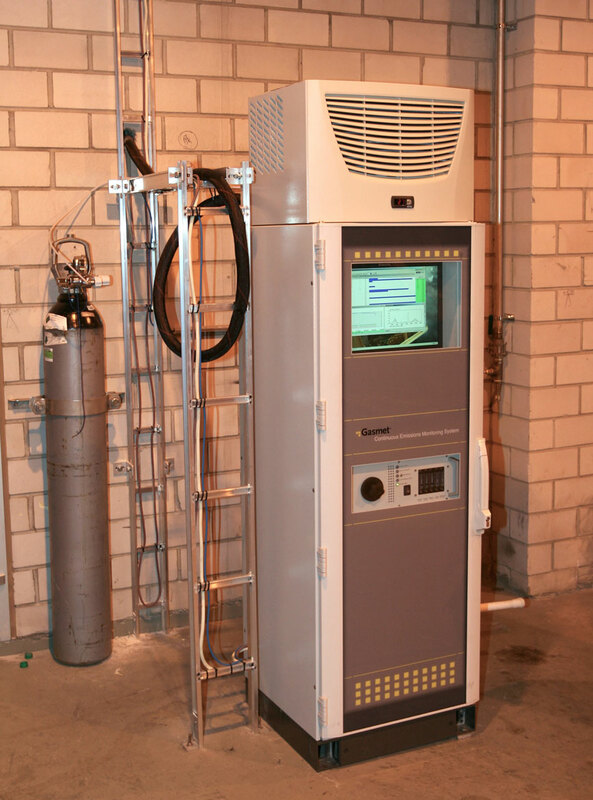 This means that it is possible to re-analyze produced spectra with the instrument’s PC based software (Calcmet) and thereby to identify unknown gases. Whilst FTIR is able to analyze an enormous number of gases, the technique is not suitable for noble gases, homonuclear diatomic gases (e.g., N2, Cl2, H2, F2, etc) or H2S (detection limit too high). With the monitoring data, Heinonen has calculated the annual emissions for methane to be around 350 tonnes, and for nitrous oxide around 134 tonnes. This means that the emissions per cubic metre of wastewater equate to 3.5 g of methane and 1.34 g of nitrous oxide. Looking forward, Heinonen believes that it will be possible to use the gas monitoring data to improve process control. She says that “traditional monitoring/control systems focus on concentrations of oxygen, nitrate and ammonia in the water, but, if we detect high levels of N2O gas for example, this may indicate a problem in the process that we can use as a feedback control. Monitoring data for gaseous nitrogen compounds (N2O, NH3, NOx) complements water analysis and provides a more complete picture of the nitrogen cycle in the treatment process. Mirja Maja is with Gasmet Technologies Inc. This article appears in ES&E Magazine’s June 2018 issue.